hell yeah. My album of the year! Great review! Love this album!! Great review, Raff! Thank you so much, Dan! Thinking of you here! Played with Moraine last year, fantastic band and great people. Nice summary, Raffaella. Thank you, Kerry! Congrats for the ROSfest slot. I fully intend to write a review of the Heliopolis album before long! 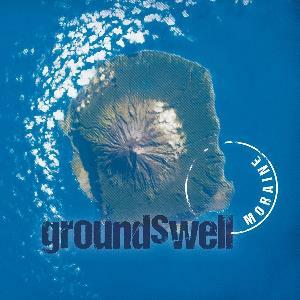 Love the Groundswell! Your likes are definitely in line with mine! Ms. Berry, with your attraction to the avant/jazzier side of prog, I’d HIGHLY recommend that you give a listen (or two … or a hundred!) to *Antoine Fafard’s Ad Perpetuum*. It’s streaming in its entirety on *progstreaming.com *. With a line-up of *Vinnie Colaiuta and Jerry De Villiers, Jr.* *on every track* this is truly one of the most jaw-dropping and accessible jazz fusion albums *of all-time! * I’m not sure if you have ever explored and/or liked Weather Report, Jaco Pastorius, the jazzy side of Joni Mitchell, Pat Metheny, Bill Bruford, Allan Holdsworth or Hiromi’s Sonicbloom, but Antoine’s compositions & flawless performances remind me of these other groups–except, of course, better. *Ad Perpetuum* may, in fact, end up my #1 album of 2014! Enjoy! Best wishes for a *better* 2015! And thanks for your Fire! Thank you so much for your comment and for the recommendation! I will definitely check Fafard’s album out. I just wish I had more time to write reviews!